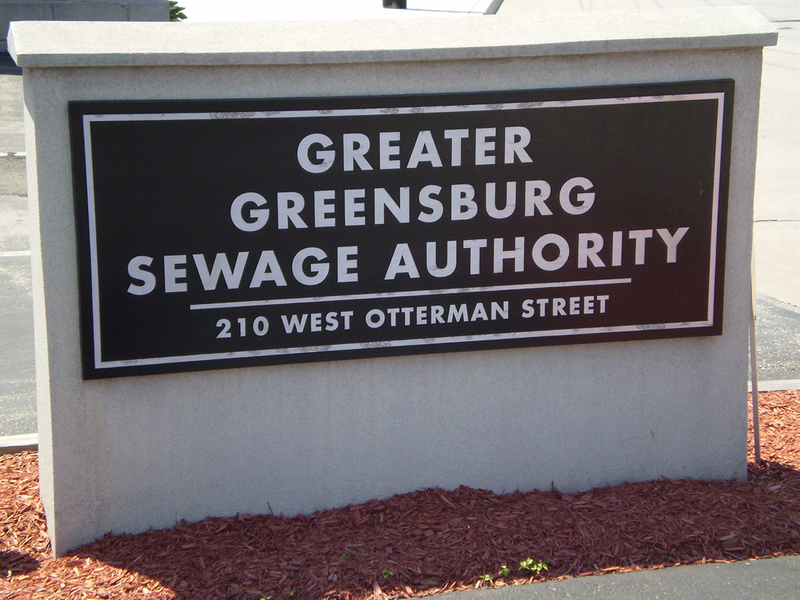 The Greater Greensburg Sewage Authority (GGSA) owns and operates the Greater Greensburg Wastewater Treatment Plant (WWTP) and much of its sewage collection system. The WWTP, designed to treat 6.75 million gallons of wastewater per day, consists of preliminary screening, grit removal, primary sedimentation, combined carbonaceous and nitrogenous BOD5 removal in a conventional activated sludge system, final sedimentation, and ultraviolet disinfection. The solids handling system consists of gravity thickening for primary sludge, mechanical concentrators for waste activated sludge, two-stage anaerobic digestion, and mechanical dewatering. The WWTP discharges into Jacks Run under NPDES Permit No. PA0027456. The Greater Greensburg WWTP serves approximately 9,800 customers from the City of Greensburg, Borough of Southwest Greensburg, Borough of South Greensburg, and portions of Hempfield Township.